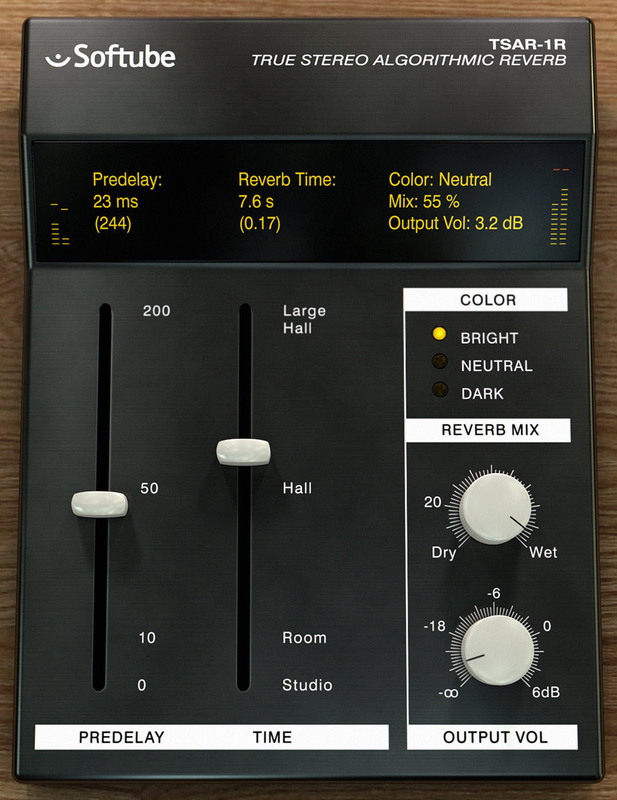 TSAR-1R plug-in, one of three plug-ins included with the Softube Time and Tone bundle. Los Angeles, CA, October 22, 2015 – Focusrite announces that several of its interfaces are now shipping with the Softube Time and Tone bundle. Softube Time and Tone Pack is a unique plug-in bundle (valued at $198) which includes three of Softube’s world class plug-ins: a reverb, a delay and a distortion. TSAR-1R: Add space, depth and width to your sound—TSAR-1R is a reverb plug-in with world-class sound and extreme ease of use. With a single slider, you can take TSAR-1R from realistic and three-dimensional rooms to dramatic and dreamlike halls. Tube Delay: A tasty echo effect that can go from clean to rude by overdriving its three modeled tube stages. Create anything from realistic room echoes to rockabilly style slapbacks—or take it all the way into dub reggae echo madness. Saturation Knob: Add grit and warmth to any sound source with this modeled output distortion unit. Use it to fatten up bass lines, add some harmonics and shimmer to vocals, or simply destroy your drum loop. Simply turn up the knob to add saturation, and use the three-position switch to alter the distortion character. Use these together with the already included Focusrite Red 2 & Red 3 plugin suite, to take your mixes to the next level. From October 8, 2015, for all purchases that were made on or after September 1, 2015, all registered Scarlett, Saffire, and Clarett* customers can download the plug-ins bundle for free from their download area. *Eligible Focusrite interfaces: Scarlett Studio, Scarlett Solo Studio, Scarlett Solo, Scarlett 2i2, Scarlett 2i4, Scarlett 6i6, Scarlett 18i8, Scarlett 18i20, Saffire Pro 14, Saffire Pro 24, Saffire Pro 26, Saffire Pro 40, Liquid Saffire 56, Clarett 2Pre, Clarett 4Pre, Clarett 8Pre and Clarett 8PreX. 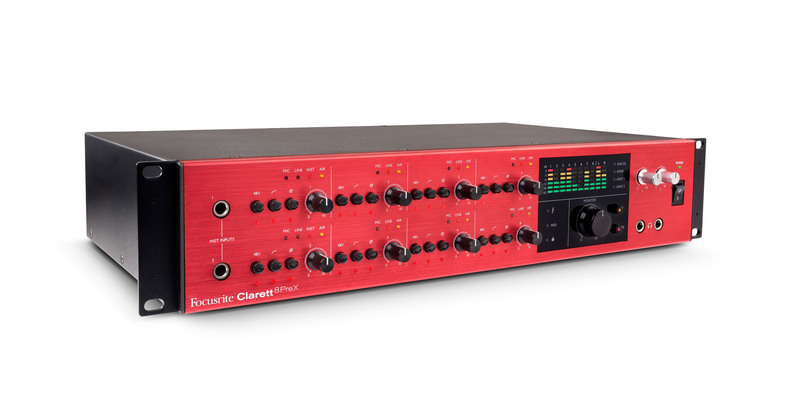 Photo caption 1: Focusrite Clarett 8Pre interface. Photo caption 2: TSAR-1R plug-in, one of three plug-ins included with the Softube Time and Tone bundle.